Modular crimp tool. 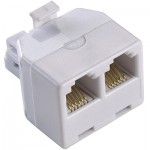 Use to crimp 8P8C, 6P6C and 4P4C telecom plugs. 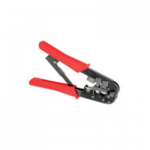 Tool features wire cutter and wire stripper. 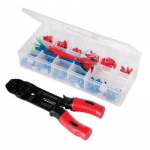 Order Code / SKU: MCT4+6 Categories: Crimp Tools, Modular Connector Tools. 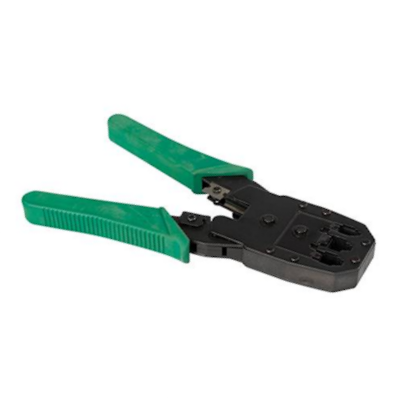 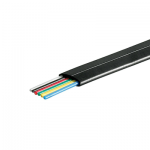 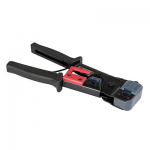 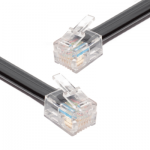 Tags: 4P4C, 6P4C, 6P6C, 8P8C, crimp tool, rj10, rj11, RJ12, rj22, rj45.